Exploring the theme of transformation, the exhibition Transformation and Revelation: Gormley to Gaga. UK design for performance 2007–2011 reveals contemporary designs for performance by over 30 British Theatre Designers. It provides an intriguing insight into the designers’ creative process and includes costumes, set models, photographs, drawings, sound productions and lighting designs. 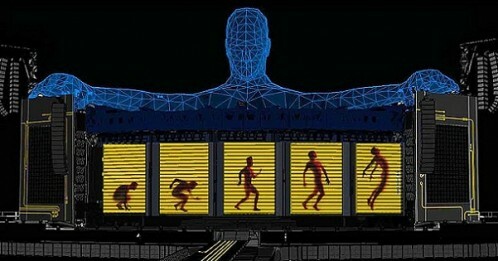 Designs include Sutra by Antony Gormley, War Horse by Rae Smith and Lady Gaga’s Monster Ball Tour by Es Devlin.